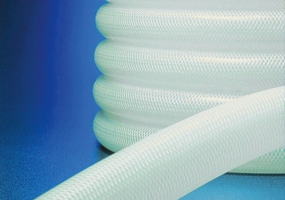 C-Flex Tubing is the most popular and widely used TPE tubing used in the Life Sciences industry, engineered to meet the critical demands of the sector. This range allows tubing to be welded and sealed as well as offering a solution when permeability is a main consideration in your application. Available in a wide variety of sizes & choice of wall thickness, there is an C-Flex Tubing option available for most applications. Each coil of C-Flex tubing is extruded to precise ID (internal diameter), OD (outer diameter) and wall dimensions. 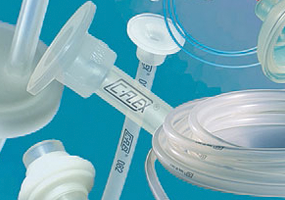 All C-Flex tubing is formulated to meet the standards of the biopharmaceutical industry and is QA tested before leaving the production facility. C-Flex braided tubing is an ultra-flexible, high-purity option for applications where thermoplastic tubing is desired but the pressure requirements exceed those that can be accommodated by a non-reinforced thermoplastic product. Manufactured from the finest grade of thermoplastic materials – C-Flex formula 082; clear, animal derived component free resin; and reinforcing polyester braid – it is fully characterized, validated and tested to a variety of specifications. To further discuss the C-Flex tubing range, and how we can help you. Please contact us, or request a callback at a convenient time to suit you.